How to unlock frp of Nokia 3.1 plus Android smartphone and file download here. Here is the complete info to use the tool and here you can also download the NOKIA FRP Bypass Tool, working on all New Nokia Android smartphones releases by HMD Global. So bypass Google account verification lock on Nokia 3.1 Plus TA-1118 using the small and useful FRP tool. 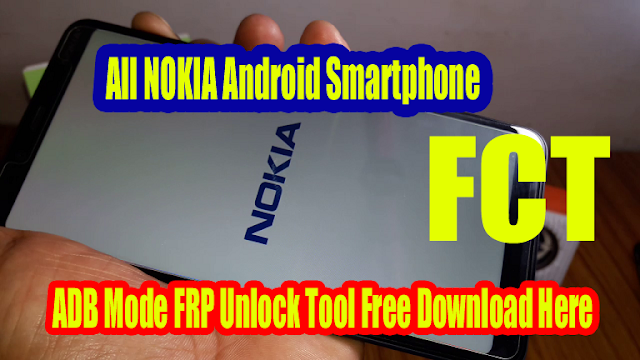 In this procedure you do not need any flashing box to unlock the Nokia phone, just use the trick given in this video and use the Nokia FRP Unlock tool to reset FRP or bypass Google account lock. 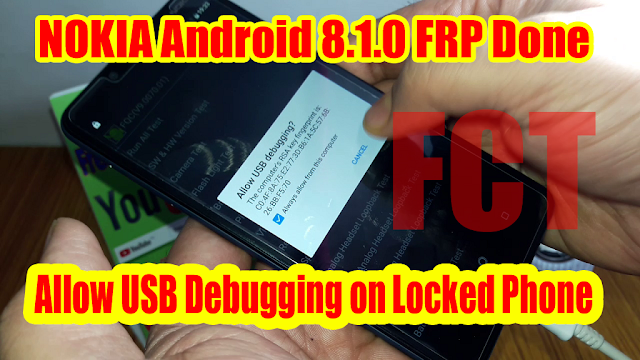 You can also watch the video tutorial on the Free Computer Tricks YouTube Channel to know how to enable locked Nokia 3.1 Plus Android phone USB debugging and then allow USB debugging on the phone screen and follow the unlock procedure on PC. Here you can also download Nokia 3.1 Plus FRP unlock tool free and use it to reset or unlock Factory Reset Protection of Nokia 3.1 plus phone and this tool is working on all most all Nokia Android phones. Nokia Bypass FRP Google Account Android 8.1.0 Nokia 2/3/5/6/8 and all new models releases, So just follow the tutorial here and download the ADB FRP unlock tool for Nokia New phones and unlock FRP of Nokia all New Android smartphones. How To Use Nokia ADB FRP Tool? Download the tool and unzip it using password given below. Now run the BYPASS-FRP.bat in the Nokia FRP folder. Allow USB debugging on phone screen. Now press any key to close FRP Reset Window. Then Reboot the phone and it's done. Nokia HMD Global Android phone hard reset and frp Unlock. Nokia new Android phone hard reset and google account unlock without box. How to Hard Reset Nokia 3.1 Plus? How to hard reset Nokia TA-1118? Nokia TA-1118 FRP unlock file and tool free download.